Bobbi Buller: What was I thinking??? So I saw this cute quilt in a new book I ordered for the guild library. It's always nice to have a project that travels. Something to work on when your at a quilt meeting or stuck visiting the in-laws! I thought, Oh I'd like to make that. 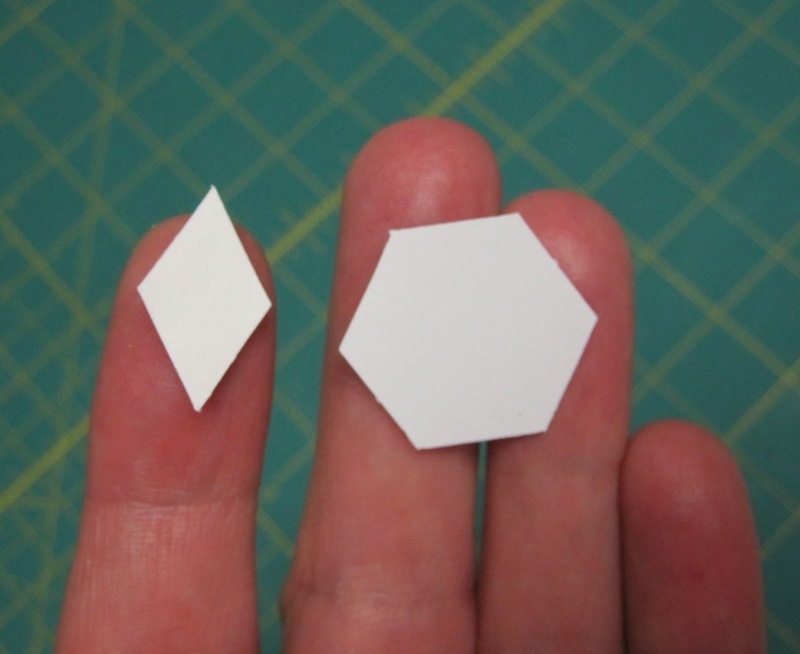 It's an English Paper Piecing project, so I got online at paperpieces.com and ordered the supplies I would need. Yeah, I think the pretty colors distracted me from what I was getting into! Well, we will see how it goes (whimper). I'll keep you posted! !